I took it back at the end of June, but I’ve been wanting to comment on it since then. The more I look at it, the more bizarre it becomes. There’s A Lot Goin’ On. 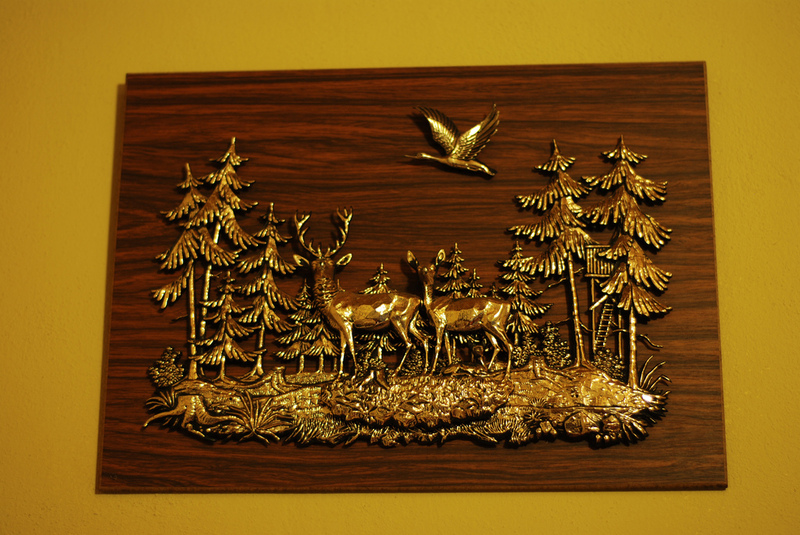 This entry was posted in Blogtoberfest, Decoration, Deer, Duck, Kitsch by Sitzman. Bookmark the permalink.